A fun and exotic-looking plant that adds a tropical touch to any location. 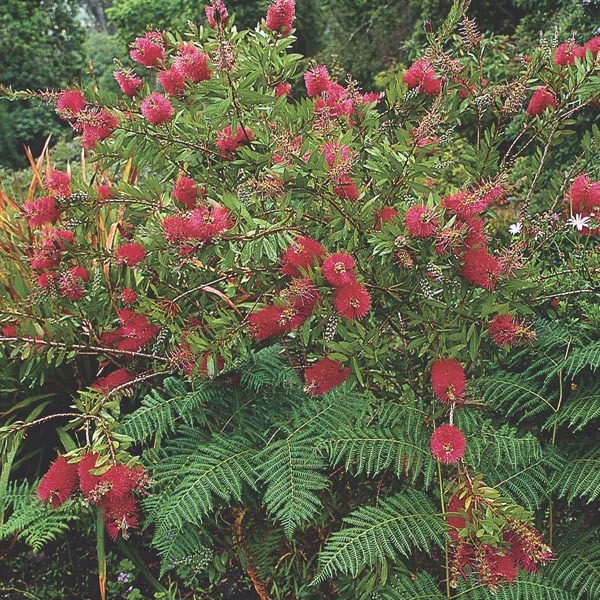 Callistemon gets its common name from the fluffy red flower spikes that resemble bottle-brushes. Flowers are produced over a long season from spring through summer and attract hummingbirds and butterflies to the garden. Suitable for growing in large containers on the patio or deck. Beautiful grouped or massed in a shrub border. 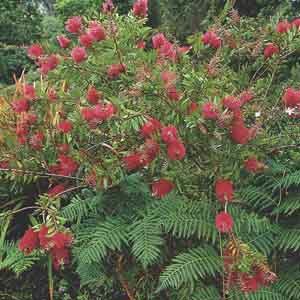 Excellent for planting along fences and walls. Best in slightly acidic, fertile but well-drained soil. Water freely in dry weather. Prune or trim after plant has bloomed.